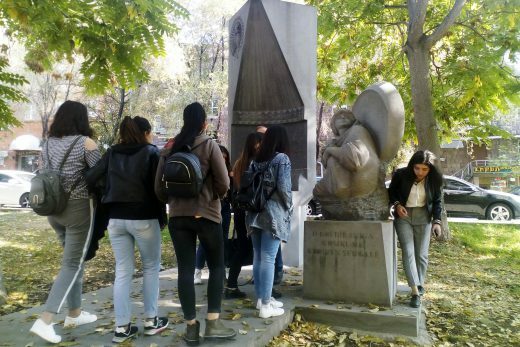 On October 23 of 2018, seven best second-year students of YSU IB “Design” Faculty, headed by Tigran Bagamyan, assistant of the Department of Drawing, Painting and Sculpture, member of RA Artists’ Union, visited to Yerevan galleries and art museums. 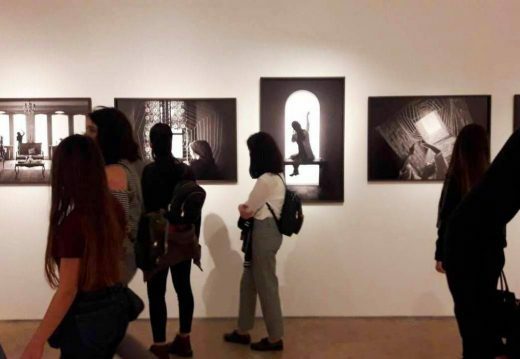 The visit was organized on the initiative of the Faculty of Applied Arts and with the support of YSU IB Directorate. During the study visit, the students visited the National Gallery of Armenia, the Cafesjian Center for the Arts, and the State Academy of Fine Arts of Armenia. The students visited sculptors Armen Vardanyan and Armen Atanyan’s art studios, got acquainted with the peculiarities of sculpture creation. 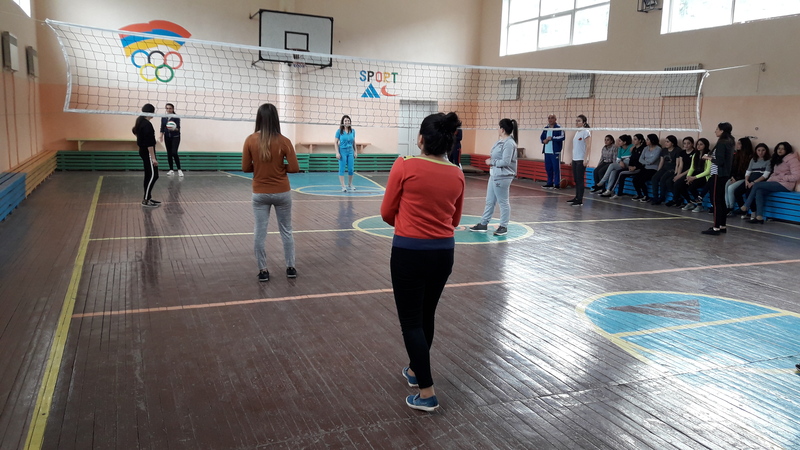 On October 24 of 2018, a volleyball friendly match was organized at YSU Ijevan branch sports hall on the initiative of the Department of Emergency Situations, Athletics and Sports (lecturers A.Vanesyan and P. Karapetyan). 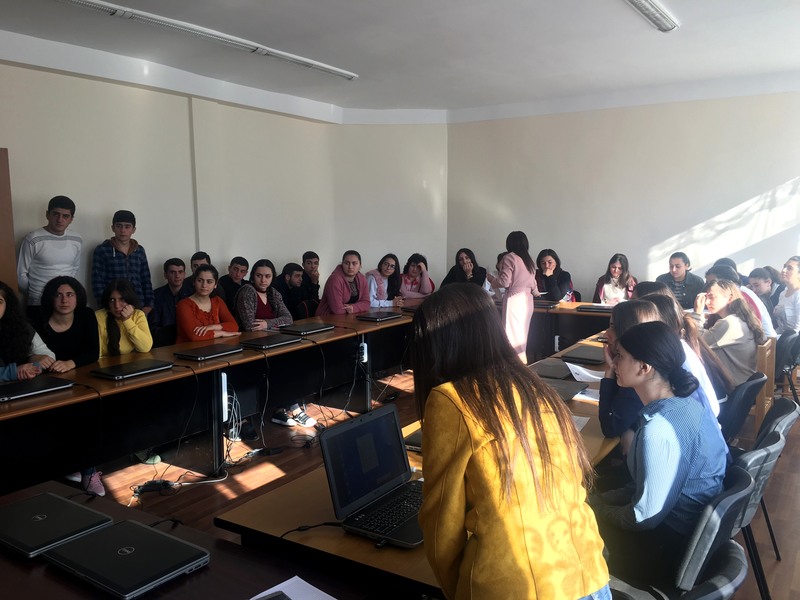 The first and second year-students of “Elementary Pedagogy and Methodology” specialty of YSU IB Faculty of Humanities met. 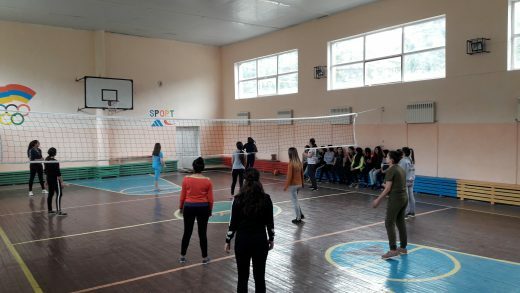 The volleyball match was held in 2 stages. After a persistent competition, the second-year students’ team of “Elementary Pedagogy and Methodology” won with the score 2: 0. 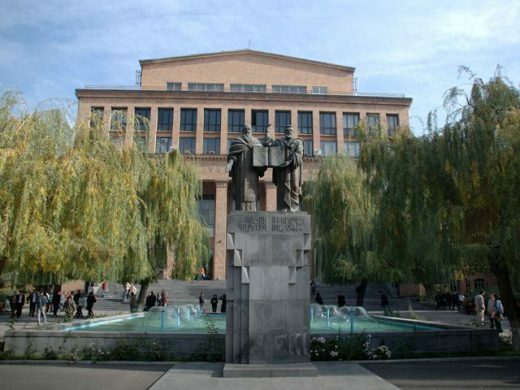 The Faculty of Romance and Germanic Philology of Yerevan State University organizes an international conference entitled “Language, Culture, Communication” on the occasion of the 100th anniversary of YSU foundation. The purpose of the conference is to examine various issues related to language, culture and communication in the context of modern interdisciplinary scientific research. 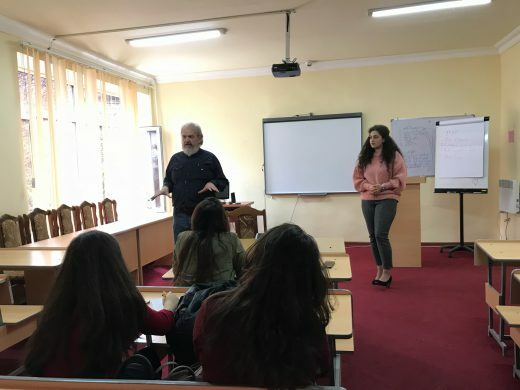 During the conference it is intended to create an open platform for free discussion and exchange of experiences on contemporary linguistics and cross-cultural communication, unifying scientific scholars, master’s students and postgraduate students. Working languages of the conference will be Armenian, English and Russian. The duration of the lectures is 20 minutes and the duration of the lectures is 15 minutes. Deadline for applications: December 1 of 2018. Notification of acceptance by Scientific Program Committee will be available by January 30, 2019. 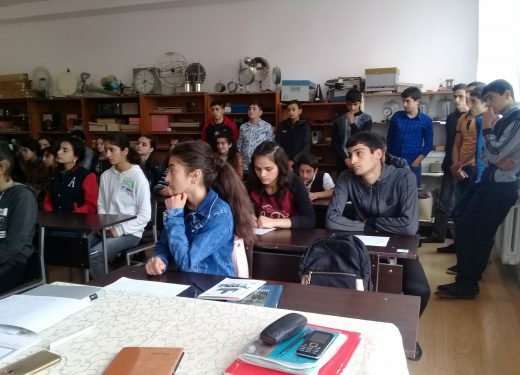 The registration fee 5 thousand AMD (for local participants) should be paid after the approval of Scientific Program Committee by March 30, 2019 (details of payment will be informed). Distance participation is not approved. 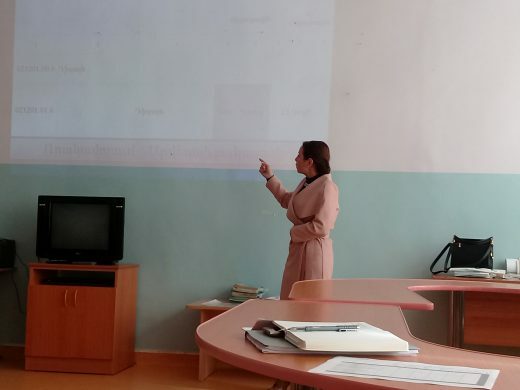 Grigoryan, associate professor of the Faculty of Translation Studies, PhD in Philology . 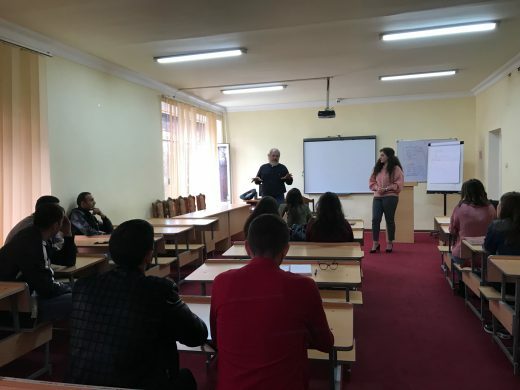 On October 1-20 of 2018, the Department of Professional Orientation and Practice of the Ijevan Branch Yerevan State University Foundation (YSU) held meetings with 31 students of general schools of Tavush Region (Ijevan, Berd and Noyemberyan). Head of Education-Methodological Department A. Davtyan, Head of Professional Orientation and Practice Department L. Beginyan, Head of Education Program Planning Department S. Alaverdyan and A. Manucharyan, deputy-head of the Faculty of Humanities V. Akhababyan, acting head of Armenian Language and Literature Department V. Avagyan, Acting Head of the Department of General Mathematics and Natural Sciences G. Simonyan, Lecturer of the same Department M. Amirzyan, Coordinator of Graduates and External Stakeholders E.Garayan, school directors and teachers took part in the meeting. The purpose of the meetings was to carry out professional orientation work in secondary schools, raise awareness of students about the branch 2019 academic year admission professions and educational programs. During the meetings, the universitarians presented the history of YSU Ijevan branch, the main directions of its activity and faculties, the professions, the conditions and privileges of admission. 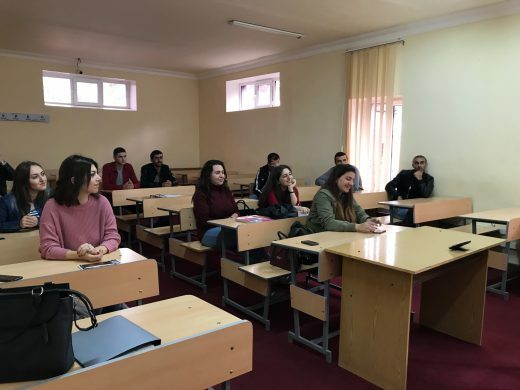 University Admission education programs of 2019 academic year, new offers and opportunities (referring to full-time learning system: “Environment and Nature Management”, “Applied Art” and “Psychology”), exam materials and changes in admission exams. 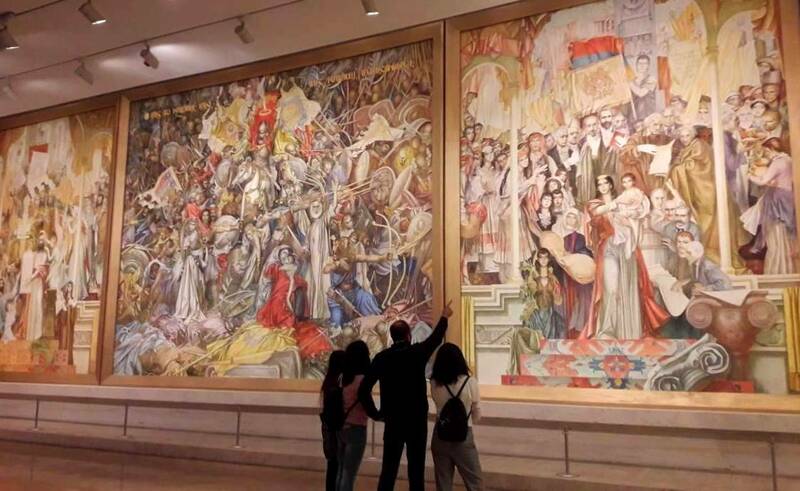 Particular attention was paid to the Russian Language and Literature curriculum, which will be implemented for the first time taking into consideration the labor market issues. In order to maintain a constant contact between the branch and the region’s secondary schools, and to strengthen the school-university connection, it has been suggested to periodically organize visits, thematic lectures and discussions, and to take advantage of part-time learning opportunities. In the secondary schools of Berkaber and Gandzakar the department heads V.Avagyan and G. Simonyan made thematic discussions. The meetings were in an interactive and engaging atmosphere. 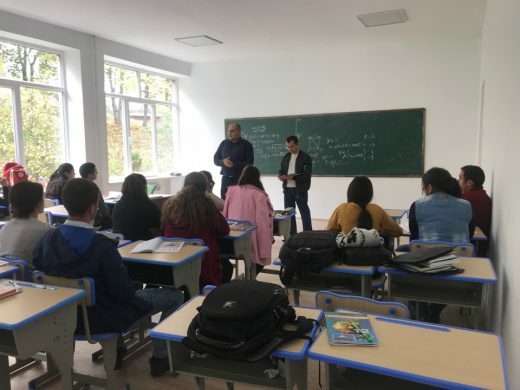 The students were interested in various issues related to educational process, tuition fees, tuition fees discounts and privileges for bordering community students, admission subject exams. The representatives of the schools expressed their satisfaction and expected that the cooperation would be continuous.